I've been working on the next engine prototype, and there's a lot of new stuff along with it. The physics code hasn't changed, but the interface is entirely different. 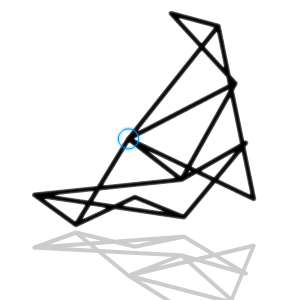 Instead of a ragdoll to move around, you get to draw lines with the mouse, and move them around and connect them together. What I'm working on now is the ability to pin them to the background so you can make more interesting structures. Check back soon for the finished prototype!